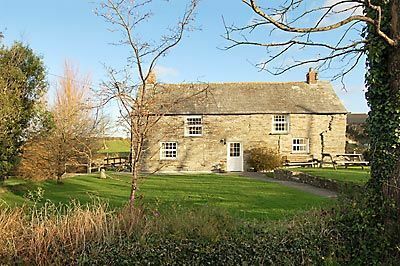 Peregrine Cottage is a detached 400 year old cottage, which is situated in St Issey, near Padstow in Cornwall. The cottage is full of character and retains many original features including slate floors, beamed ceiling and a feature fireplace with clay oven. The cottage is nearby to the Camel Trail, which is a cycle path running from Padstow to Bodmin Moor. It has a very large enclosed garden, which backs onto the neighbouring farm, which means that guests and their can enjoy watching the animals. On the ground floor of the property there is a lounge with woodburner stove, a dining room and a well equipped kitchen. Upstairs, there are four bedrooms: two doubles, one twin and one single room. One of the doubles has an additional single bed in it, which means that the cottage can sleep up to 8 people. The owner of this property allows pets, up to one dog maximum.